The Light trace is designed to be an accurate illustration of basic usage. It's basically a subset of the Heavy trace, but we've left out some workloads to reduce the writes and make it more read intensive in general. The Light trace still has more writes than reads, but a very light workload would be even more read-centric (think web browsing, document editing, etc). It has about 23GB of writes, which would account for roughly two or three days of average usage (i.e. 7-11GB per day). The IO distribution of the Light trace is very similar to the Heavy trace with slightly more IOs being 128KB. About 70% of the IOs are sequential, though, so that is a major difference compared to the Heavy trace. Over 90% of the IOs have a queue depth of one or two, which further proves the importance of low queue depth performance. 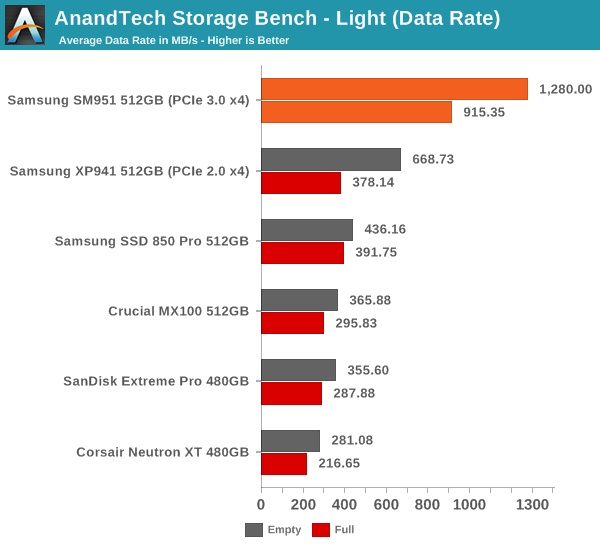 The SM951 yet again provides roughly twice the data rate compared to the XP941 and with a full drive the difference is even more significant. 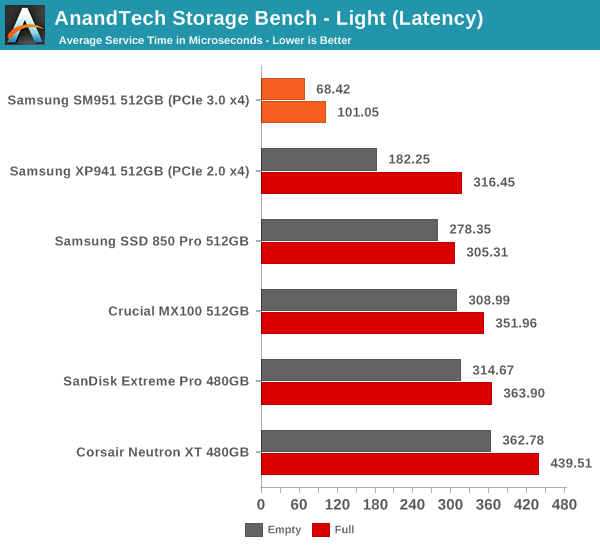 The same goes for average latency where the SM951's score is about one third of the XP941's. 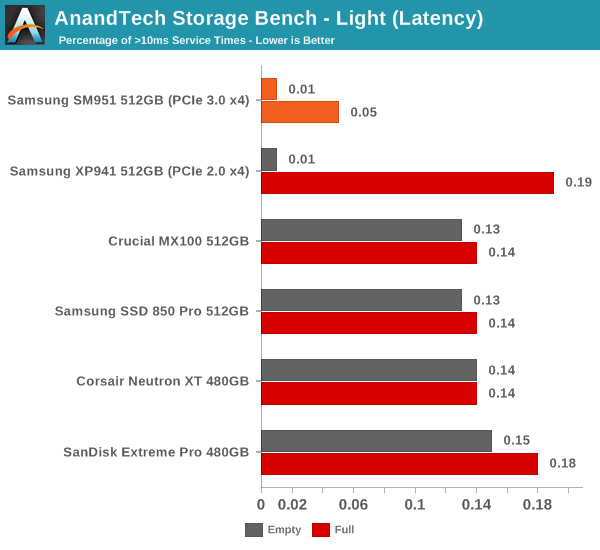 The SM951 can without a doubt boost performance with lighter IO loads as well, although in very light workloads the bottleneck tends to be the speed of user input (think about document creation for instance).